(Lord’s day). After long lying discoursing with my wife, I up, and comes Mr. Holliard to see me, who concurs with me that my pain is nothing but cold in my legs breeding wind, and got only by my using to wear a gowne, and that I am not at all troubled with any ulcer, but my thickness of water comes from my overheat in my back. He gone, comes Mr. Herbert, Mr. Honiwood’s man, and dined with me, a very honest, plain, well-meaning man, I think him to be; and by his discourse and manner of life, the true embleme of an old ordinary serving-man. After dinner up to my chamber and made an end of Dr. Power’s booke of the Microscope, very fine and to my content, and then my wife and I with great pleasure, but with great difficulty before we could come to find the manner of seeing any thing by my microscope. At last did with good content, though not so much as I expect when I come to understand it better. By and by comes W. Joyce, in his silke suit, and cloake lined with velvett: staid talking with me, and I very merry at it. He supped with me; but a cunning, crafty fellow he is, and dangerous to displease, for his tongue spares nobody. After supper I up to read a little, and then to bed. "...comes Mr. Holliard to see me..."
"...then my wife and I with great pleasure, but with great difficulty before we could come to find the manner of seeing any thing by my microscope. At last did with good content..."
We shall call you Marie and Pierre, Sam. But what the heck did you see? "...made an end of Dr. Power's booke of the Microscope, ..." Wow! This records Sam reading the Instruction manual *before* he used the equipment. Obviously not a Real Man, then. Lovely to see that he, right from the start, is sharing this with Bess. I concur with RG above - what *did* they look at? Knowing Sam's obsession with his health, maybe some of his "thick water" ? Any other suggestions? The microscope: Sam went up after dinner to use the microscope, so he was probably using a candle to illuminate the microscope. He probably had difficulty seeing much without strong lighting. If he used a mirror in the daytime to catch sunlight, he would see more. He might even take some pond water and see cavorting little beasties, as in Lueweenhoek's first experiment. Rather nice that Bess is sitting there patiently while he fiddles with the microscope. At least they saw something after all. As for Mr Holliard's visit, he was reassuring and did no harm, the best that he could do and he probably kept Sam soothed and recuperating from his cold. "Mr. Holliard...concurs...that my pain is nothing but cold in my legs breeding wind"
I understand chilled legs and I understand bloating and intestinal gas, but I wonder how Messrs. Hollier and Pepys envisioned the causal connection? "He supped with me; but a cunning, crafty fellow he is, and dangerous to displease, for his tongue spares nobody." So we now see why Sam tolerates cousin Will. Forgive me, Sam for noting that it seems to run in the family a little. "...for his tongue spares nobody." PHE's apt comment from yesterday, "Yet another example of the uniqueness of the Diary's ability to show how consistent is human nature through the centuries" works neatly here. "... his tongue spares nobody." Sam would have eaten his dinner around noon, so after dinner would, at this time of year, have given plenty of daylight, but any extra light is of assistance in viewing a microscope slide no matter what the time of day. 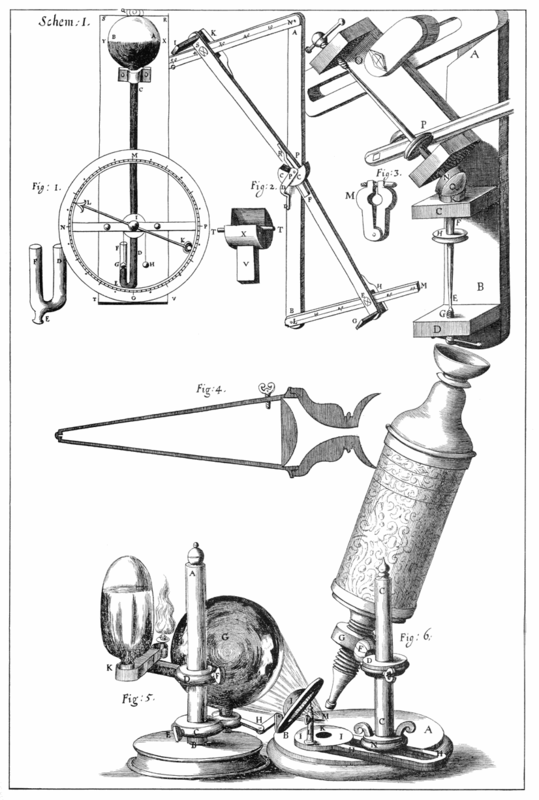 Robert Hooke titles his revolutionary book on the microscope Micrographia, literally, "small writing." The second set of objects he looks at under his microscope, after first examining the points of sharp needles, is "certain pieces of exceeding curious writing," including the Lord's Prayer, the Apostles' Creed, the Ten Commandments, and a dozen verses of the Bible hand-written in an area smaller than a two-pence piece. Hooke's microscope enables him to discover that, when magnified, the miniature writing consists of "pitifull bungling scribbles and scrawls" that are "for the most part legible enough, though in some places there wanted a good fantsy well preposest to help one through." Hooke concludes: "If this manner of small writing were made easie and practicable ... it might be of very good use to convey secret Intelligence without any danger of Discovery or mistrusting." As Susan OS points out, the time to view the mite from under the perogue would be approx 2 to 3 houres after the apres noon Dinner time, [Locke had his dinner at 11am, could not wait for his leader to eat at two]. to get extra light would be by focusing the sunlight via a lens on to the object of desire. A good read, how it be dun, be the Gugenheim version of hookes 1665 book found on line then down loaded in the HTML version..
"But because the light of the Sun, and also that of a Window, is in a continual variation, and so many Objects cannot be view'd long enough by them to be throughly examin'd; besides that, oftentimes the Weather is so dark and cloudy, that for many dayes together nothing can be view'd: And because also there are many Objects to be met with in the night, which cannot so conveniently be kept perhaps till the day, therefore to procure and cast a sufficient quantity of light on an Object in the night, I thought of, and often used this, Expedient. Fig. 5. I procur'd me a small Pedestal, such as is describ'd in the fifth Figure of the first Scheme on the small Pillar AB, of which were two movable Armes CD, which by means of the Screws EF, I could fix in any part of the Pillar; on the undermost of these I plac'd a pretty large Globe of Glass G, fill'd with exceeding clear Brine, stopt, inverted, and fixt in the manner visible in the Figure; out of the side of which Arm proceeded another Arm H, with many joynts; to the end of which was fastned a deep plain Convex glass I, which by means of this Arm could be moved too and fro, and fixt in any posture. On the upper Arm was placed a small Lamp K, which could be to mov'd upon the end of the Arm, as to be set in a fit posture to give light through the Ball: By means of this Instrument duly plac'd, as is exprest in the Figure, with the small flame of a Lamp may be cast as great and convenient a light on the Object as it will well indure; and being always constant, and to be had at any time, I found most proper for drawing the representations of those small Objects I had occasion to observe." Wouldn't you love to see what Sam would write about you if you should happen to drop in for a visit? He seems to be able to narrow in on the basic essence of people. Of course, he has a blind spot when it comes to himself and those little visits to Fleet Street. The vivid 'sometimes all honey one with another and then all turd'(see Michael Robinson's annotation above) quite reminds me of George Bush's colorful nickname for Carl Rove : 'Turdflower'. Picking up Aussie Sue's ponderings upon what the two were looking at: it being Sunday my money is on Our Sam looking at his sins (no church)or else examining his hypocrisy (theatre paid by others) hence the difficulty he has bringing matters into focus. I find it both amusing and instructive that these scientific instruments (Microscope, globes, slide rule, etc) seem to be collectibles and amusing uses for Pepys! How many of us have a microscope (For nonprofessional reasons)? Lurker -- I suspect quite a few of us have microscopes gathering dust from out college days, and even more have telescopes. But wouldn't Samuel die of envy if he had access to our Universal Computational and Compositional Engine, Ethereal Library, and Mechanism for Instantaneous Correspondence! Thurber fans will recall "...with every adjustment of the microscope known to man" in "University Days". How many of us have a microscope (For nonprofessional reasons)? I do, it's a nice compound stereo scope that I got at a garage sale cheap. What I really wanted is a dissecting scope. Oh, oh, that's a rhetorical question is it not? Who are George Bush and Carl Rove? One sounds vaguely familiar: had been a rich, drunkenly idle college student of semi-aristocratic background who graduated to show gross incompetence in various business and political careers and a sneering posturing toward competent professionals and their advice I think. Classmate or youthful friend of Sam's or Sandwich's, perhaps? I know there was Christmas, Cade...I just don't clearly remember these other two. Just a quick note to pre-empt any further digressions along these lines... we don't want to get into any 21st century politics unless it sheds light on Sam's world! Thanks. I was only partially rhetorical concerning microscopes, etc. I didn't remember that Sam had a telescope, but I'm not surprized. As to having microscopes, I'm not sure. PS. It's Karl with a "K". Perhaps SP could use the microscope to read Cocker's engravings on his slide rule with silver plates! "By and by comes W. Joyce, in his silke suit, and cloake lined with velvett: ..."
Perhaps Pepys asking cousin Will to accompany him picking up Bess last week has led Will to think Pepys wants a friendship. So Will puts on his fancy dress to remind Pepys that he is his social equal. Forget all that malicious drunken nonsense when Tom died. Pepys ain't buying it ... but he may need more favors. "comes Mr. Holliard to see me, who concurs with me that my pain is nothing but cold in my legs breeding wind, and got only by my using to wear a gowne, and that I am not at all troubled with any ulcer"
"After dinner up to my chamber and made an end of Dr. Power’s Henry Power booke of the Microscope, very fine and to my content, and then my wife and I..."
Good to see that someone reads the instruction book fully before having a go with the equipment itself.